Hangar 1 Vodka makes a vodka called Fog Point. It is made from fog water. I have not tried it, but I’m guessing it tastes like vodka. Like good vodka, probably. But it could taste like just-okay vodka and I’d still think it was pretty cool. A terrific piece in VinePair alerted us to the existence of Fog Point, which is made by combining the fresh water that comes from the fog with, as Hangar 1 puts it, “vodka crafted solely from the distilled wine of California’s Pine Ridge Chenin Blanc + Viognier.” It’s a gimmicky idea, but there are real reasons for the choice, and VinePair was able to speak with head distiller Caley Shoemaker (no relation) about the process and the reasoning behind it. California was deep into a statewide drought when Shoemaker took over as head distiller at Hangar One in Alameda, an island across the bay from San Francisco. Unfortunately, producing the distillery’s craft vodka depended on a substantial amount of water. The Hangar One team wanted to find a way to conserve water and increase the distillery’s sustainability and, after some research, it came up with a solution. There was one source generating an abundance of fresh, local water: Karl. Karl, if you didn’t know (I didn’t), is the name for San Francisco’s fog. The process involves using fog catchers to, well, catch the fog. They partnered with the non-profit FogQuest, which works with “water-insecure communities” around the world, to install the catchers. The version of the catchers used for this batch are 17 square meters and made from two layers of mesh. At the peak of fog season, they were able to pull “approximately four liters of liquid per square meter of fog catcher per day” from just one location. Have you tried it? Would you drink it? 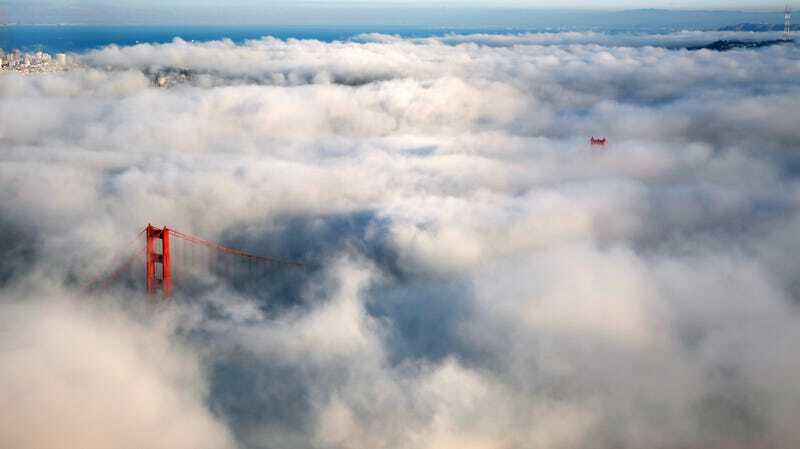 Did you know San Francisco’s fog is named Karl? Tell us below.